With X Wing soon outgrowing its original box Kaiser Rushforth brought out their Bespoke case and liking their other cases I thought it would be perfect to keep the new ships in. , as those who have bought KR cases before know , the foam is a soft blue foam that is quite light. 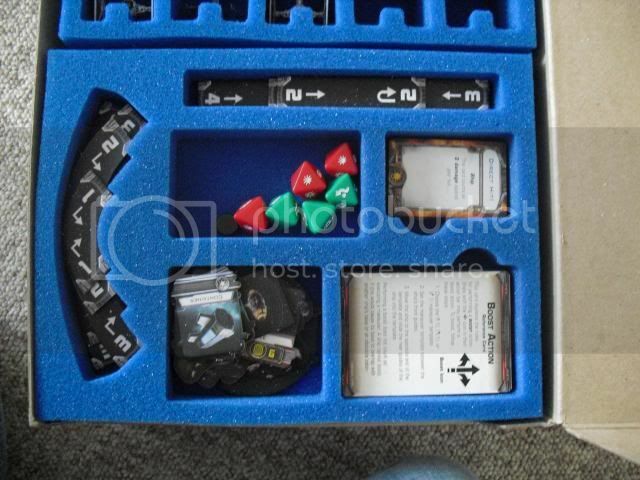 It has no actual cubby for the rule book but that can easily sit on top of the upper foam. 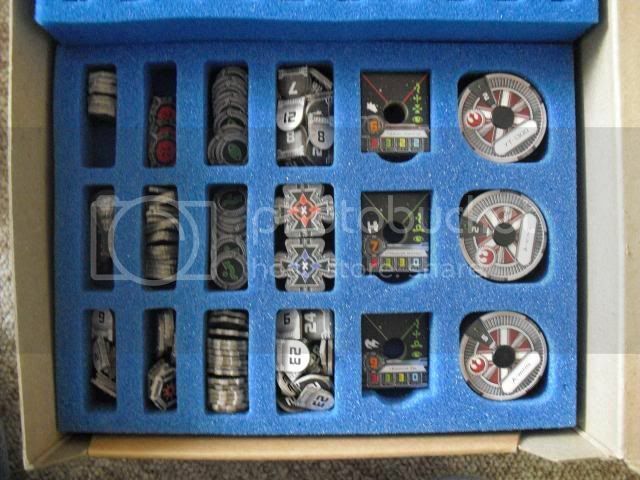 Here all the other paraphernalia can sit, such as the expansions, quick guides and the range ruler and 5 movement. 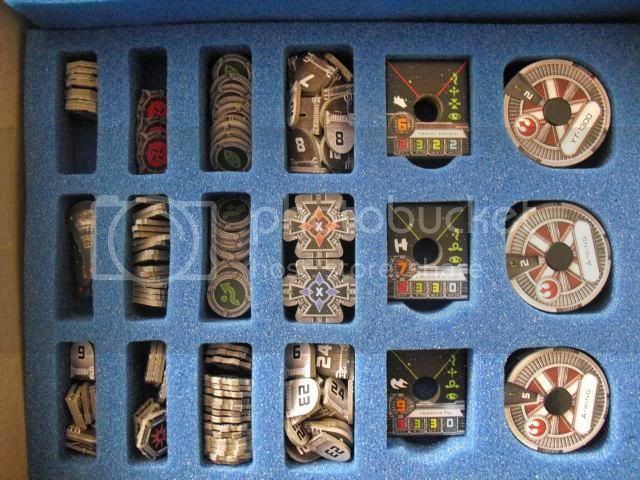 Take the top off and we have the first ship holder on the left and the rulers, dice and some cards on the right with their own neat cubby holes. We have another tray of ship holder below the first, so I have not seen fit to photo that, as you can see the ships fit snugly in their slots with their bases and the 2 extensions fitted. They will not roll around and have ample room to be pulled in and out. Under the rulers we have our token tray. Now this all fits nicely and is well laid out. 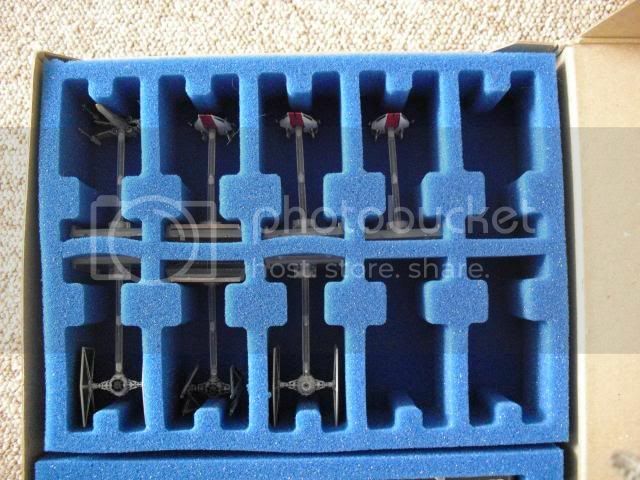 The only real problem comes in that you can fit 22 ships in this box and only 9 manoeuvre discs. 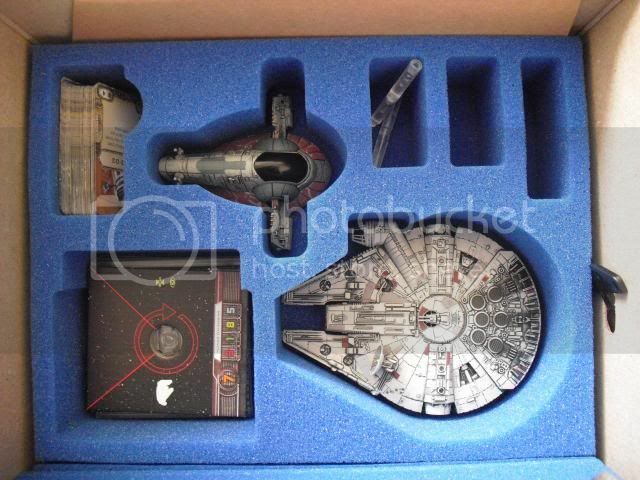 Perhaps they could take out a few of the ships on one of the trays and put in some more disc holders or maybe I could put them with the ships themselves and stop moaning. Moving swiftly onto the final bespoke tray underneath. 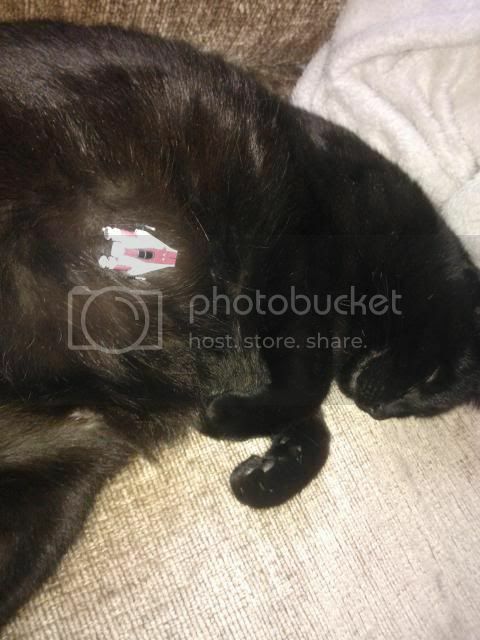 Here we have the Falcon and Slave in their slots looking all comfy. They fit nicely and so not move around much. 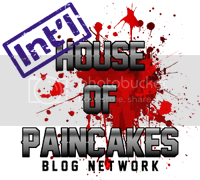 Here we have some more card holes and a base repository. That's it really, nothing more that I can describe about it. 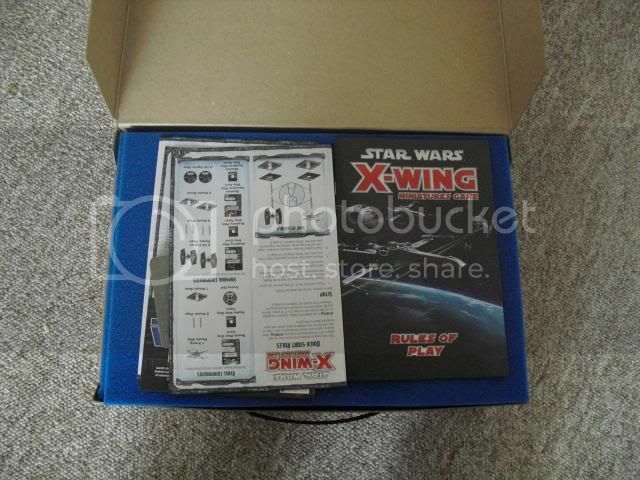 It is a nice case and gives my X Wing stuff a home that is not lying around the house raging up the other member of my household. It is good value at £32.99 and a few pounds for postage and gets a good recommendation from me. Thank you for this post. 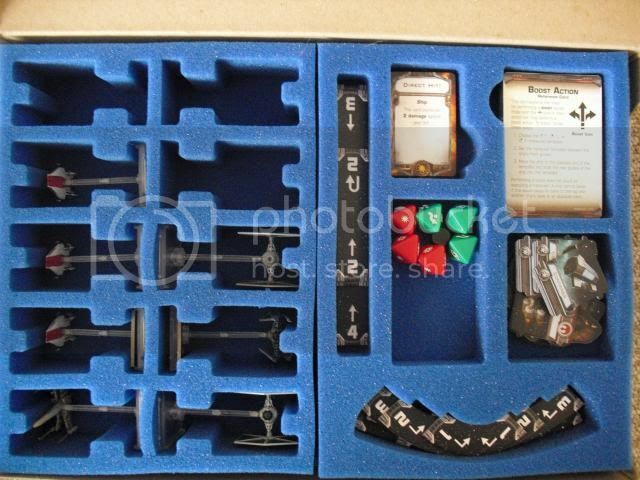 Is there any chance of an "exploded" photo, to see all of the trays/exactly everything that you get as well as the box? I'm looking at ordering some trays from Mini Market and what they're showing as the options look very different to what you have there. I'm wondering if their pics are wrong/incomplete or if they have different versions?